No muss, no fuss and no Winnebago bus. “Rough it” in a mountainside cabin instead. Have a great day exploring the mountains, follow it with a hearty, smoky meal cooked on a crackling campfire and then count shooting stars before crawling into a comfy bed in a remote cabin to slumber the night away. Best thing is, the next day after breakfast you’re on your way for more adventures without having to waste time packing up your tent. Here are a few places where the mountainside cabin experience is second to none. Hike, canoe, raft, bike or relax. Yoho National Park, just across the Alberta-B.C. border, offers some scenic remote adventures and accommodations. “Luxury” and “cabin” don’t have to be mutually exclusive, and the cabins at Cathedral Mountain Lodge are proof. 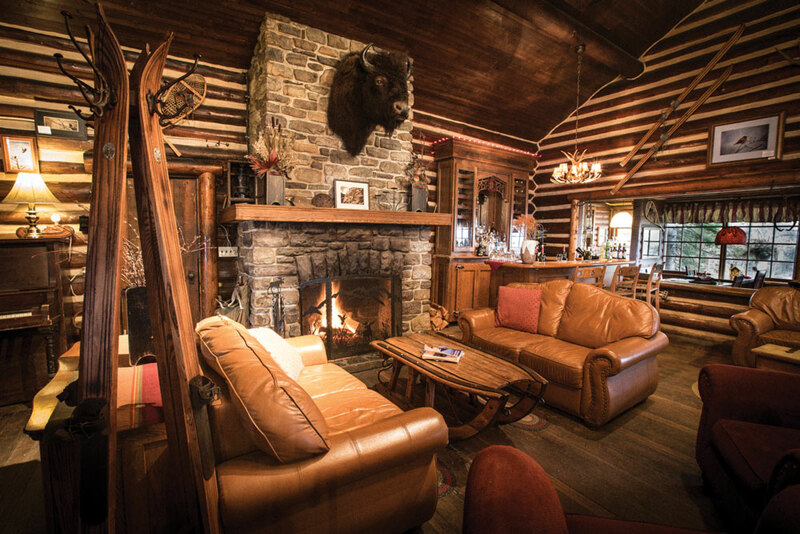 Handcrafted log cabins with custom-made pine beds, cozy sofas, river rock fireplaces and deep soaker tubs are the standard here. 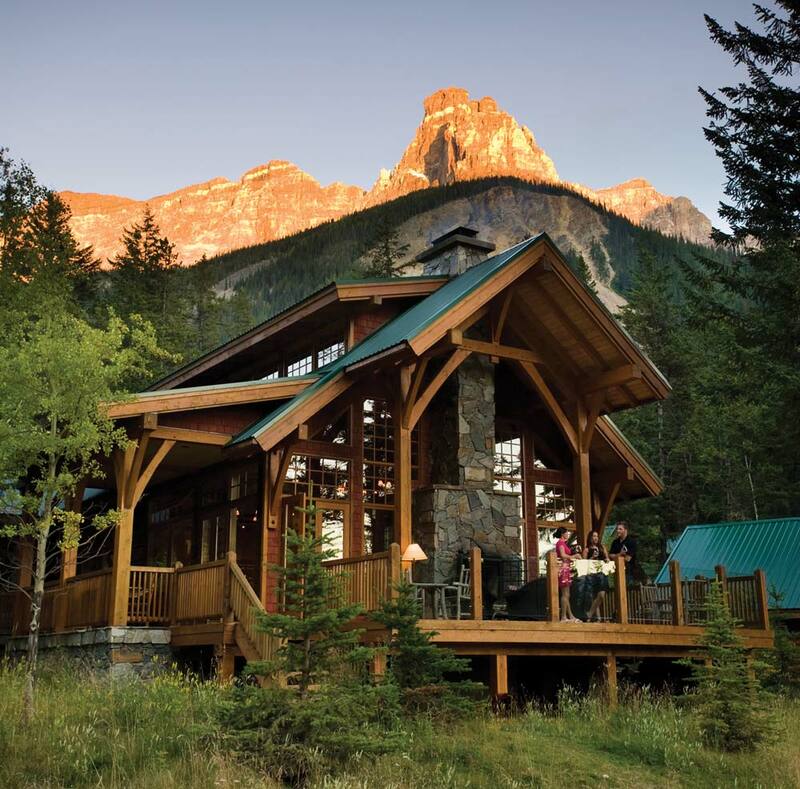 Each cabin has a veranda to watch the sunset from, or you can settle into a big Adirondack chair on the banks of the Kicking Horse River and listen to, well, just about nothing. Located near Field, the main lodge offers award-winning fine cuisine in the Riverside Dining Room. A buffet breakfast is included in your stay, as are guided hikes. Open late May until early October. Take an easy hike beside some waterfalls, ride your bikes along the Banff Legacy Trail, climb to the top of Mount Norquay on the Via Ferrata – or just pour another cup of coffee, sit back and enjoy the sights. Rental cabins in Banff National Park offer quick access to everything – or, if you prefer, nothing. It’s doubtful that a gold prospector found any nuggets of gold in the creek named after him, but, more than a century later, Johnston Canyon – the hike and the cabin resort – is still popular in Banff National Park. Many of the 42 cabins, as well as the dining lodge, were built by Walter and Marguerite Camp starting in 1927, and the family still operates the resort. Plan your visit around a hike up the falls and beyond to the Ink Pots. Cabins range from two to four guests and only the larger cabins have kitchens. The cute verandas are perfect evening retreats. Open mid-May 15 to early October. Can’t decide if you want to go tenting or stay in a cabin? Then do both! The oTENTik experience is exclusive to Parks Canada and the kids will love it. It’s a cross between an A-frame cabin and a tent where the structure and floor are wood and the walls and roof are canvas. Three beds at this campsite are ready for you. Just bring along your gear and you are ready to go. At the end of an action-packed day, you can sit by the campfire with the kids slumbering only steps away. Available late-May to early October, weather-dependent. You’ll be unplugged – and you won’t even care. Storm Mountain Lodge, just south of Castle Junction on Highway 93, is the perfect retreat for a little romance. The log cabins are a throwback to the years when a big stone fireplace, a bottle of wine and someone to share them with was all that mattered. The cabins don’t have cooking facilities, but the main lodge, built in 1922, offers full meals and hiker’s lunches. Open all year. Meander up the Icefields Parkway to Jasper National Park stopping en route to hike to Bow Lake, to board one of Brewster’s big buggies that drive onto the Columbia Icefield or to be brave and walk on the glass-floored Glacier Skywalk. At the end of the Parkway, the area around Jasper proper has a few cabin rentals that you can call home for the night, close to the trails and the townsite’s amenities. Cozy, rustic, charming – or as close to basic as possible – sums up the vibe of the cabins at Tekarra Lodge. No phones, no TV, just a big stone fireplace to keep you company. 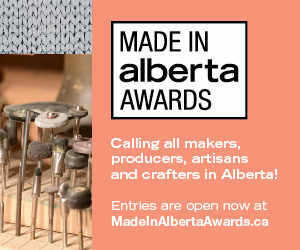 Watch rafts float by on the Athabasca River, or rent a mountain bike and create your own adventure. The cabin kitchens are great for breakfast, but let the chef at the Tekarra Restaurant create dinner for you. Town is only minutes away and the lodge also organizes a variety of activities that are included in the cost of your stay such as yoga, outdoor fires with s’mores and children’s scavenger hunts. Tekarra is also pet-friendly. Typically open from the Thursday before the May long weekend until the weekend before Thanksgiving. Ever hear of the top-secret Second World War mission code-named Project Habbakuk? Stay at the Patricia Lake Bungalows and you’ll be close to where the remains of this scuttled project to build an aircraft carrier partly out of ice (yes, really) lay below the surface of an otherwise tranquil mountain lake. If you are a SCUBA diver, you can even dive to the remains to see them for yourself. 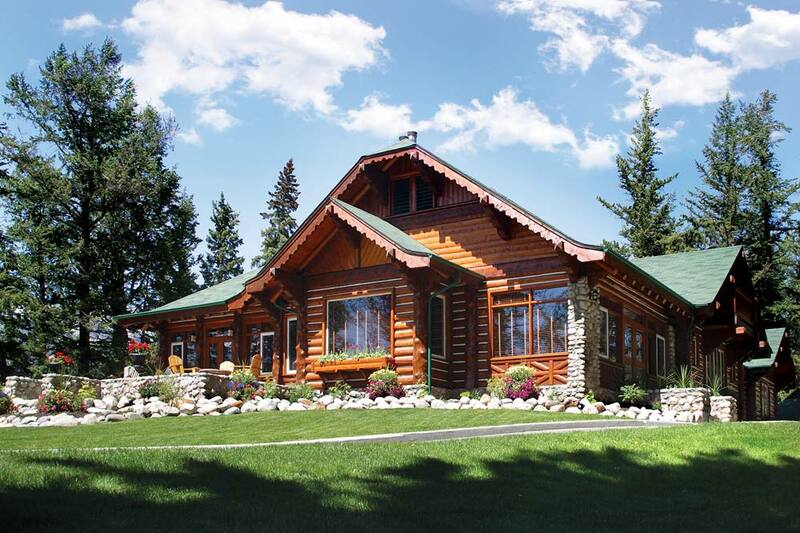 Since 1966, the D’Heer family has hosted travellers in quaint cottages, log cabins and, most recently, luxury suites offering every amenity you could want. The lake is only steps away from all the cabins. Trails around the property will take you to the lake, and, with Jasper a mere 4.8 kilometres away, it’s a leisurely bike ride to town. Open May to October 18. The cabins at the Fairmont Jasper Park Lodge certainly aren’t rustic. The 10 Luxury Signature Cabins offer everything from welcome baskets to a VIP turn-down service. If you’re planning a family reunion in the woods, this might be the place to book. The Outlook Cabin is a 6,000-square-foot space with six bedrooms, and has been the Canadian retreat in the woods for the Royal Family since 1939. But there is also the eight-bedroom Milligan Manor and the five-bedroom Point Cabin, both of which might be larger than your home. Or, if you’re looking for something cozier, the one-bedroom Athabasca Cottage tips the scales on the romance factor. The resort offers many activities to keep all ages entertained, including golfing, horseback rides, canoe rentals, fitness facilities, pools and a spa. Open all year.